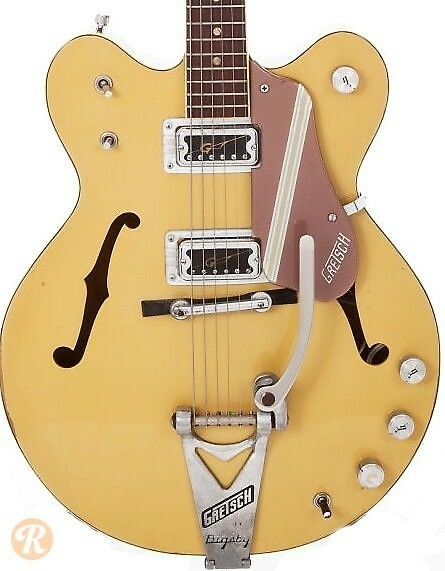 The Rally was a short-lived Gretsch hollowbody from the late '60s. This guitar used a pair of Hilo'tron pickups and Bigsby vibrato tailpiece. It was produced in "Bamboo Yellow" and "Rally Green."